​Since the first day of Spring in 1994, Plannedscapes has provided landscape design and installation services to residential and commercial clients. Our love of all things outdoors led to a retail shop that opened on Main Street in Westphalia in May of 2000. As we expanded into hardware, fresh flowers, and an in-house bakery, we found ourselves needing more space. "The Old Grocery Store" located at 106 West Main Street became our new home. 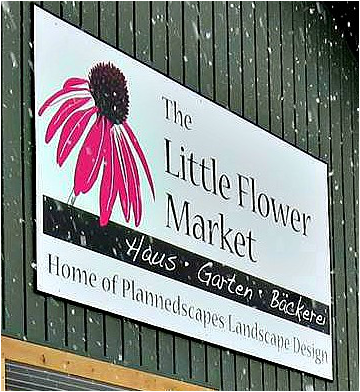 The Little Flower Market opened in November of 2013 and we continue to love every single day of providing all things Haus und Garten.